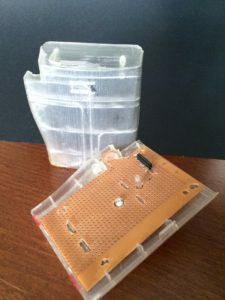 3D printing has existed since the 1980’s, however did not gain wider acceptance until the early 2000’s, when additive manufacturing gained widespread acceptance through stereo-lithography (SLA) and nascent fused deposition modeling. In the early 2000’s I was actively using SLA technology for prototypes, client samples, test parts, masters for casting, and field trials. 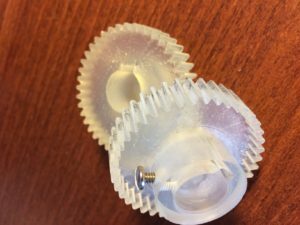 In one case, SLA gears were used in a final mechanism installation because the custom gears had been lost in shipping. The SLA gears were so successful that the client delayed installation of the metal ones until production had finished using the machine. Today, with modern fused deposition (FDM), metal fused deposition, powder-adhesive, SLA, and polyjet technology, the limiting factor is the imagination. If an object can be machined using subtractive manufacture , it can be created in additive manufacturing. 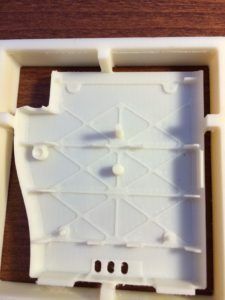 In fact, additive manufacturing has the capability to create hidden voids, and other features that cannot be achieved using traditional methods. The hobbyist can now purchase one of several different FDM machines that can create fully functional parts. These are no match for the far more powerful industrial machines, with their higher resolution; faster print speed, wider range of materials, and built-in repeatability and dimensional stability. Feel free to contact me if you would like to investigate how 3D printing may be applicable to your factory, idea, or product. I am able to get parts made using any of the processes available today. 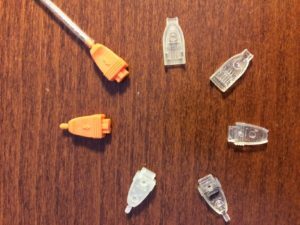 Several SLA parts and molded and cast parts from them are shown below. SLA Gears used on production machine in an acid environment. 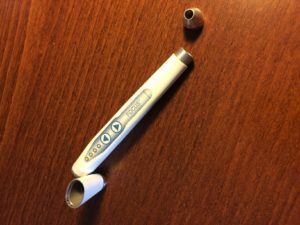 Cast aluminum dental ‘pen’ device created from SLA master. 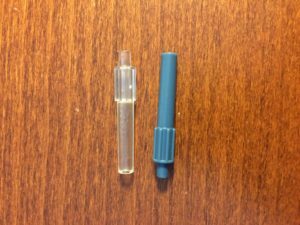 Clear and opaque luer fittings molded, after prototype in SLA. Surgical battery pack housing, with breadboard for fit planning. Surgical battery pack modeled for fit-form-function, including bread-board fitting. Surgical batter pack part made with CNC machining. Note the lack of mounting boss details, and strengthening ribs.